Google and Apple both provide a very important service to their customers by supporting the Play Store and App Store respectively. That’s not exactly an easy thing to do since they have to make sure whatever software is on there is safe for users to download and enjoy, and there are millions of apps on each store. For that, the companies take a cut from each financial transaction performed using their services. That money is coming out of developers’ pockets and naturally, some are looking at ways to avoid it altogether. This sparked a discussion if the portion of the money that’s going to Google and Apple (30%) isn’t too big. 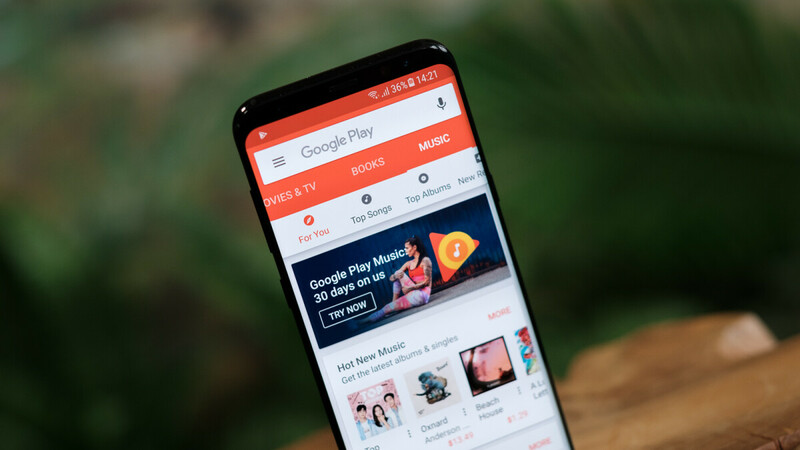 The topic was recently brought up to none other than Google’s CEO, Sundar Pichai, during the company’s quarterly earnings call, Neowin reports. Pichai was asked how developers seeking “alternative app distribution channels” could impact Google’s revenue stream from the Play Store. In response, he said that there are no plans for reducing the 30% cut and finds it a fair amount for the services that his company is providing. That's not exactly a straight answer, but it does show the company's stand on the matter, which could be summed up as "we don't care too much". The CEO didn't fail to mention that “it’s been the industry standard”, referring to Apple taking the same amount. The reason those concerns are being raised now is that larger developers have started to flex their muscles and are refusing to pay the Google/Apple tax. Recently, Netflix did it by removing the option to pay for its subscriptions through iTunes, redirecting people to its own website and circumventing Apple’s payment system. On Google’s side of things, the biggest hit came from Fortnite developer Epic Games. The company decided to not have the most popular game title for 2018 on the Play Store, instead offering it for download on its website as well. While the game itself is free to play, it offers plenty of in-game purchases, of which Google would have otherwise taken a cut. Experts have estimated that the move caused Google to lose about $50 million from Fortnite transactions in 2018 alone. If “alternative distribution channels” prove to not harm sales as much as previously thought, we might see even more developers choosing them over the established stores, which could make Sundar Pichai and Tim Cook reconsider their policies eventually. What about windows store in Windows 10 does that do the same thing 30% cut? I love how they paint Google here. When in reality everyone could bypass Google's 30% fees if they wanted to. Look at Epic, not to mention others like Netflix, Spotify, and many others. You can't do that with Apple. How about tell that side of the story. Hmmm? What are talking about? Of course you can bypass Apples fee aswell if you want to. Alot of companies do that, like Netflix and Spotify. You can’t link to an alternative payment service from within the app but you are free to let the customers sign up and pay outside of the app. Actually, there is a small point to be made here. Any service provider or app developer can have you subscribe outside of the app or app store. However, if either Google or Apple decide to remove that app from their respective app store, it's easier to sideload the app on Android than on iOS. Let's take Netflix for example. They decided to remove the option to subscribe via iTunes. Apple could have arbitrarily decided to remove the app from the app store. Mind you, they would've been shooting themselves in the foot with that move. Because Netflix is huge and they would've ended up with many millions of disgruntled iOS users. But this would be bad for small companies or independent developers. An independent developer couldn't have pulled that stunt on Apple and get away with it. Why would Apple withdraw Netflix from the App Store? What guidelines are they breaking? My intuition tells me that the 30% off all subscriptions that both Google and Apple are charging are like a tax. "You want your subscription based app hosted on the app store? We get 30%". I'm not saying it actually happens. Just that it could happen. Because both Google and Apple are greedy corporations. And both have done nasty s*it in the past. Netflix got away with it because it's huge. But I can see Apple pulling that stunt off with indie developers and startups. Again, not saying it's actually happening, just pointing out the risks. BS, Apple goes out of their way to stop apps on their app store from trying to link alternative monetization methods. Clearly you never made an iOS app, or an Android app. Stop with the lies. BS? I am a developer, read up and stop talking about things you clearly do not have a clue about. How could you have missed the articles about Netflix, Spotify and others stop supporting payment in-app? You absolutely CANNOT link to another payment method within your app on iOS. You absolutely CAN only accept payment methods outside of your iOS app, you just CAN'T link to it from your app. Those are the facts. Yes, you can, just ask Netflix, Microsoft or Spotify. Don’t see how tmobile sprint is the same. Thats just two providers with horrible coverage combining to make a bigger company with horrible coverage. Att and verizon merging would be a monopoly. Can somebody tell me why the 30% cut is a problem? That has been the standard rate since, well forever, so I'm not sure why its a problem now. But said games/apps are also producing more revenue as well. So I'm not seeing the issue. It's a problem with this site. The other thing is they don't show the entire picture. For instance everyone from day one could get around Google's 30%, by asking for money on your own website, or some other means. Apple you can't do that, they require you to go through them for any app monetization. That is NEVER explained on this site. The reason that is never explained is because it’s not true. Why would you want PhoneArena to post wrong information? The 30% is quite standard, this is the same cut Steam gets for game distribution.